A tool sheds is a great addition to any garden, no matter how big or small. Offering the perfect solution for your essential tools and accessories, there are many reasons you might prefer a tool shed as opposed to or in addition to a traditional wooden garden shed. If you don't have space for a full size shed, these smaller alternatives can be perfect for storing your essential tools. Alternatively, if you don’t require all of the space that a full size shed offers, keep this compact storage tucked away and out of view. The compact dimensions mean they don't take up much room and can be easily installed on a patio or terrace, providing enough space for your most commonly used tools and accessories. 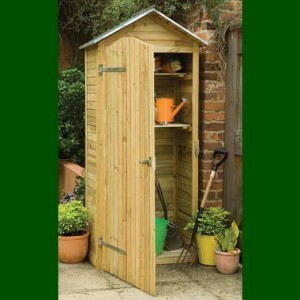 The Gardeners Tool Shed is the ideal storage solution for smaller gardens or patio areas. The cle.. The Pressure Treated Apex Garden Store from Forest is a sturdy, mid-sized storage option perfect for.. The Pressure Treated Pent Garden Store from Forest is a sturdy, mid-sized storage option perfect for.. 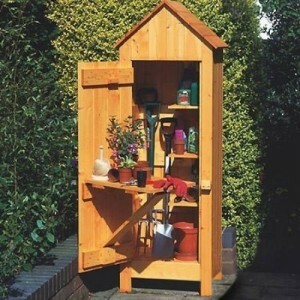 The Pressure Treated Tall Garden Store from Forest Garden is a compact storage solution, ideal for k.. The Pressure Treated Tall Pent Garden Store from Forest Garden is a compact storage solution, ideal .. The Shiplap Apex Garden Store from Forest is a sturdy, mid-sized storage option perfect for those th.. The Shiplap Apex Tall Garden Store from Forest Garden is a compact storage solution, ideal for keepi.. The Shiplap Pent Garden Store from Forest is a sturdy, mid-sized storage option perfect for those th.. The Shiplap Pent Tall Garden Store from Forest Garden is a compact storage solution, ideal for keepi.. The Shiplap Small Apex Garden Store from Forest is a sturdy, compact storage option; ideal for stori.. The Tall Garden Store is a stylish outdoor storage unit, perfectly sized for the smaller garden, .. The Log & Tool Store by Zest is attractive storage solution for both logs and tools, perfect for..